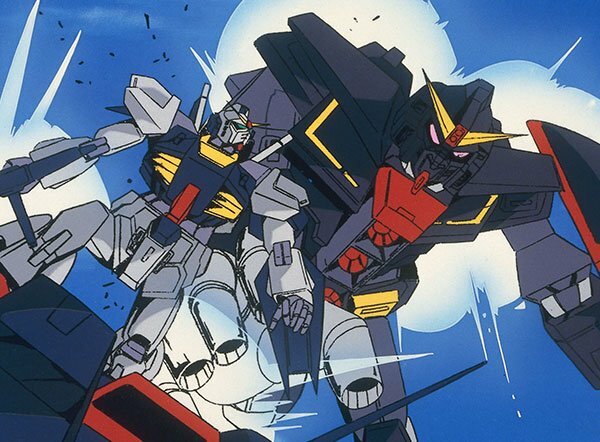 The original Mobile Suit Gundam did badly in the ratings when it went out originally in 1979, so perhaps what is most surprising is that a sequel got made in the first place. However, in much the same way that in Britain the sitcom Blackadder overcame the problems of its debut to become one of the country’s greatest sitcoms, Gundam was able to become one of the most successful anime franchises ever. They still had to wait a while, though, before this series came about. 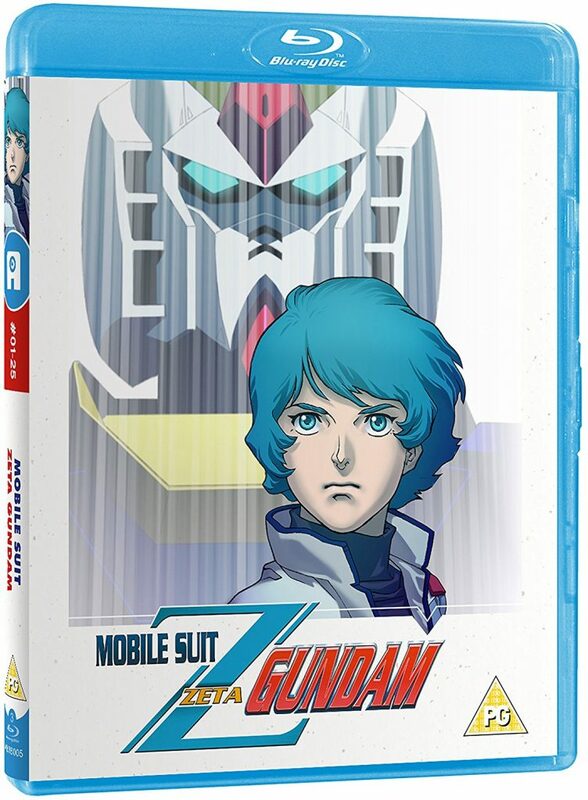 Not including the compilation films of the original series which revealed just how popular the show had become, the actual sequel to the original, Mobile Suit Zeta Gundam, didn’t come out until 1985. It’s now year Universal Century 0087 (2087 AD), and eight years have passed since the events of Mobile Suit Gundam, known as the One Year War. The Republic of Zeon may have been defeated, but there are still rebel factions fighting. One of these is the Anti-Earth Union Group (AEUG), which is in constant battle with a group called the Titans. This later organisation has been set up by the Earth Federation to defeat the last Zeon rebels, but they are ruthless in their methods. It’s one of these Titans who rubs a student the wrong way. This student is a boy and keen amateur mobile suit pilot with the unfortunate name of Kamille Biden. He hates the fact that he has a girl’s name and gets arrested when he punches a Titan who mocks his effeminate moniker. While being held by Military Police, there’s an accident when the next generation of Gundam mobile suits crashes into a building. 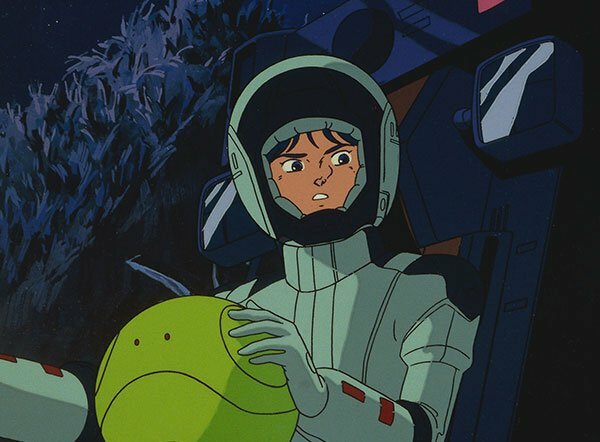 Kamille sees his chance to escape, partly because he appears to have the precognition abilities of a Newtype, although he denies this, claiming among other reasons to be autistic. Kamille manages to gain access and steal one of the Mk II Gundam models, and uses it to fight against the Titans. This results in him coming into contact with the AEUG and their leader, Lieutenant Quattro Bajeerna, although in actuality it’s obvious that he’s really the former Zeon soldier who goes by the name of Char Aznable. The Titans, keen to get their new Gundam back, employ desperate measures to achieve their goal. Their attempts to use Kamille’s parents as hostages result in both Kamille’s mother and father being killed. Following this, Kamille decides to join the AEUG and Char’s crew aboard their ship the Argama, and to fight in his stolen Gundam, which later becomes known as the Zeta Gundam. As the story unfolds, Kamille makes new allies, including former Titan soldiers who have become sick of their cruel ways, to members of the Earth Federation who also see the Titans as problematic. Kamille travels to Earth and the Moon, visits Jaburo which ultimately is destroyed in a nuclear attack, and encounters many of the former crew of White Base: Bright Noa is now working on a different ship, has married Mirai and has two children; cynical slacker Kai Shiden is now a freelance journalist; diminutive Hayato Kobayashi now runs a space museum and leads an anti-Titan group; Hayato has also married Fraw Bow, and they have adopted the now teenaged Katz, Letz and Kikka, with Fraw six months pregnant herself; and Gundam’s original hero, Amuro Ray, manages to escape Earth Federation surveillance in order to join in the fighting himself, taking Katz under his wing. This first collection of episodes itself is at times a bit hard to get through and you find yourself drifting off in some of the less action-packed sequences. The animation also feels a bit deceptive at times. When you watch the opening title sequences the quality of the animation looks great, but when you get into the actual show itself you see that some of sequences leave something to be desired. The leader of the Titans for example, Bask Om, has a neck so wrinkly he looks like a deformed sausage. The music in the title sequences is not original either: it had to be changed for copyright reasons. However, when Gundam gets it right, it does so brilliantly. The way that the plot has developed between the two series is clear, especially when you look at the original characters. With Amuro, you see that the government still don’t trust him due to him being a Newtype. 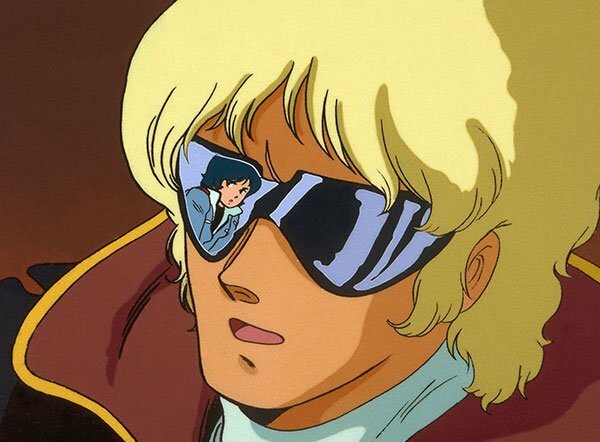 This, along with Char’s role with the Newtype Lalah in the original Gundam, allow the viewer to connect more with Kamille, who at first denies his abilities, but we know that he really is a Newtype as well. Although some of the plot may be a bit slow, the way it builds up the action does make you want to watch the rest of the series, and see how the conflict develops. One aspect of this anime that interested in me personally is Kamille’s claim that he is autistic rather than a Newtype. This is one of the earliest references to autism in popular culture I am aware of – even earlier than Rain Man which didn’t come out until two years later. Of course, Kamille isn’t autistic, it’s just his attempt at coming up with an excuse for his Newtype powers, but it’s surprising to see a mention of autism in a TV show that was created before I was born, and also for it not to be portrayed in any negative way. Concerning extras, you do get a case to store both parts of the collection in, but other than this, the only extras on the disc are textless opening and closing. You do at least get both the dub and the sub, with a choice of English and French subtitles. However, the voice acting in both versions is suspect. Concerning the English dub, well, I am not keen on English-dubbed anime anyway. Such things always tend to grate, which is why I tend not to mention them in my reviews anyway on the grounds of being impartial. The Japanese dub however has problems too. All the female actresses seem to end up sounding the same to me – every time they say “Kamille” they sound identical. Even the English actresses seem to sound identical to their Japanese counterparts. It is only the change of language that allows you to tell the difference.